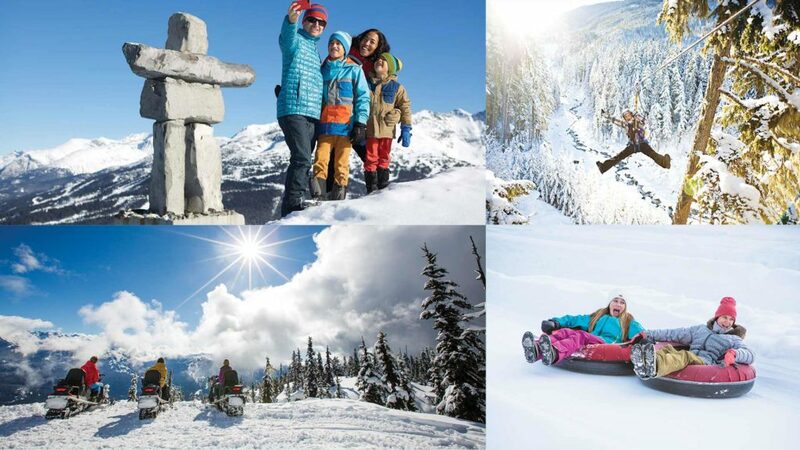 For anyone who loves the idea of escaping to the mountains for as much fun as you can squeeze into a getaway, I have four magical words guaranteed to put a huge smile on your face: spring at Whistler Blackcomb! If you’ve never experienced it before (or even if you have and need a little reminder), spring at Whistler Blackcomb is a whole lot of awesomeness. Our March snowfall average of 2.5m (over 8ft) adds to what is typically an amazing base to spoil us with the longest ski season in North America (well into May!) Meaning, there’s tons of season left here and even more reasons why it’s destined to become one of your all-time favorite getaways. LONGER, SUNNIER DAYS MEANS MORE OF EVERTHING! Who doesn’t love choice? With spring’s extra daylight, the possibilities at Whistler Blackcomb are mind-boggling. After your day on the mountain, why not try something completely different. Ziplining is a big-time Whistler highlight (believe me, you’ve GOT to try it) and a perfect fit for the warmer days of spring. Snowmobile tours are a unique chance to see Whistler from a whole new perspective and a great fit for springtime conditions – a must-do, in my opinion, especially for Whistler first-timers. One of the great things about spring in the mountains is that ANYTIME is a great time to kick back for a little patio R&R. For me, a relaxing lunch out on a sun-soaked mid-mountain deck (check out the Roundhouse, Chic Pea, or Crystal Hut) is a can’t-miss daily ritual. In September 2017, Whistler introduced Whiskey Jack’s Umbrella Bar, which is part of the renovated Roundhouse Lodge Terrace and Viewing Deck. 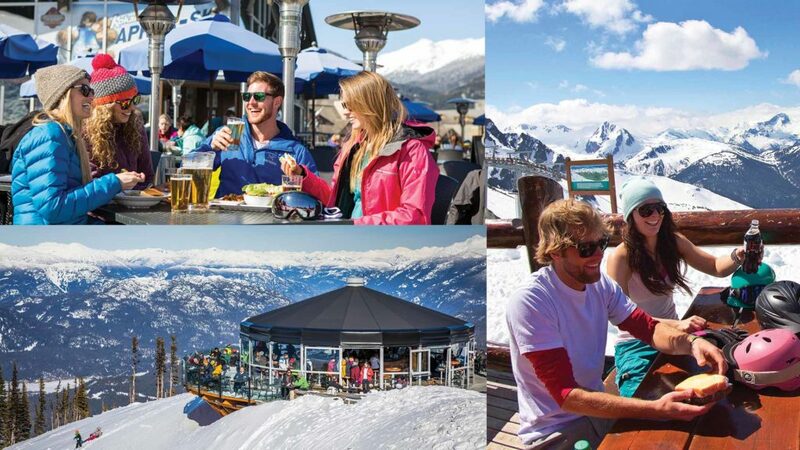 These two new patios added an additional 555 seats and the heated umbrella bar has 63 year-round patio seats overlooking Whistler Village at the Roundhouse Lodge. At the end of the day, the party’s just getting started in the Village down below, with the likes of The GLC, Merlin’s, and Dusty’s serving up some of the best après you’ll find anywhere in the world. Much as I love winter, the spring season really does offer up vacation nirvana: the unmistakable energy and vibe of North America’s largest ski resort but with fewer people around (making it so much easier to do everything you want, and then some). Find your own solitude on our quieter slopes, sample some of our amazing (and usually busy in the winter) restaurants and bistros, head off on a spur-of-the-moment (because you can) snowshoe tour or spa day, or kick back for some snacks, story-telling and people-watching (aka. après) at any of the countless open-air patios. Starting to feel spoiled? WITH SPRING COMES THE YEAR’S BIGGEST PARTY! 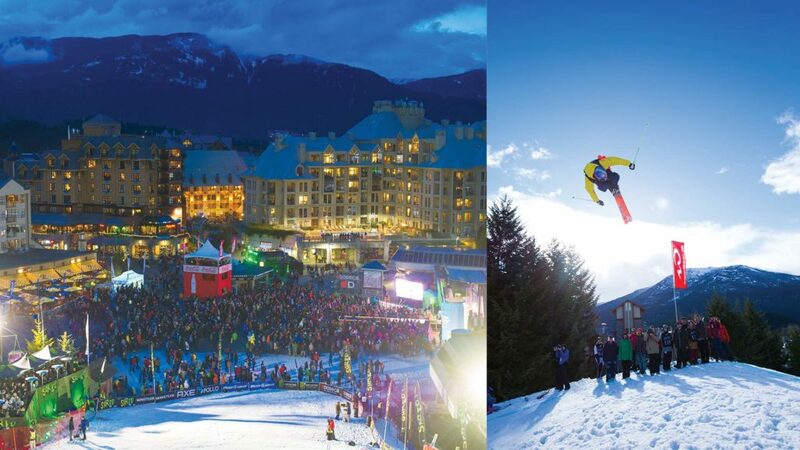 Join us this April 10 – 14, 2019 for the WORLD SKI & SNOWBOARD FESTIVAL (WSSF), North America’s biggest festival of snow sports, music, arts and mountain culture. For 5 days and nights, Whistler turns up the volume with countless live concerts, legendary arts events, endless nightlife and the best spring skiing & riding anywhere. 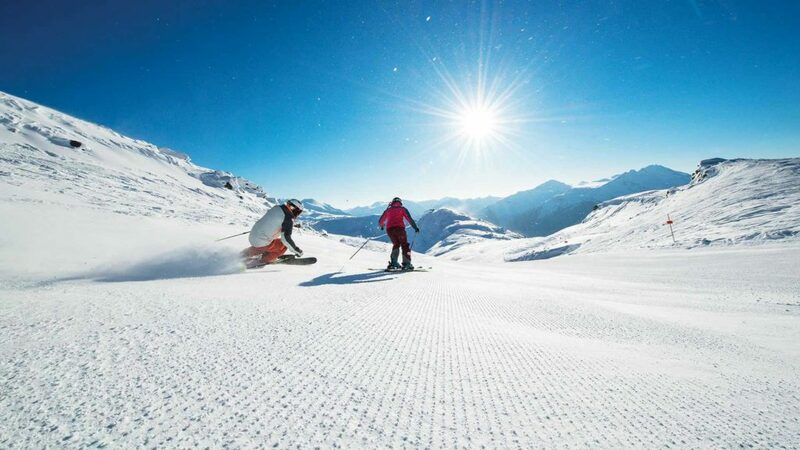 There’s also a healthy dose of ski and snowboard competitions, including the legendary Saudan Couloir Race Extreme – billed as the steepest ski and snowboard race in the world – where those who dare rip down the Saudan Couloir, dubbed one of the “9 Most Terrifying Ski Slopes in the World”. It’s free to watch for anyone with a lift pass and another great reason you don’t want to miss the WSSF, Whistler’s defining celebration! DID I MENTION THE KILLER DEALS? Hard to believe that you get all the advantages of spring PLUS our best prices of the season, including lots of huge deals on accommodation, packages, activities and more. And remember: for our American friends, the strong US exchange rate makes this one of the best times to travel north for the spring vacation you’ve been dreaming of. It all adds up to a recipe of spring magic that simply can’t be matched anywhere else in North America (or the world, for that matter!). See you on the slopes!